It’s been a year since the enactment of Boiler Plus, and installers and manufacturers alike are waiting with interest to hear the results of BEIS’ pledged ‘one year’ review, promised to take place this month. 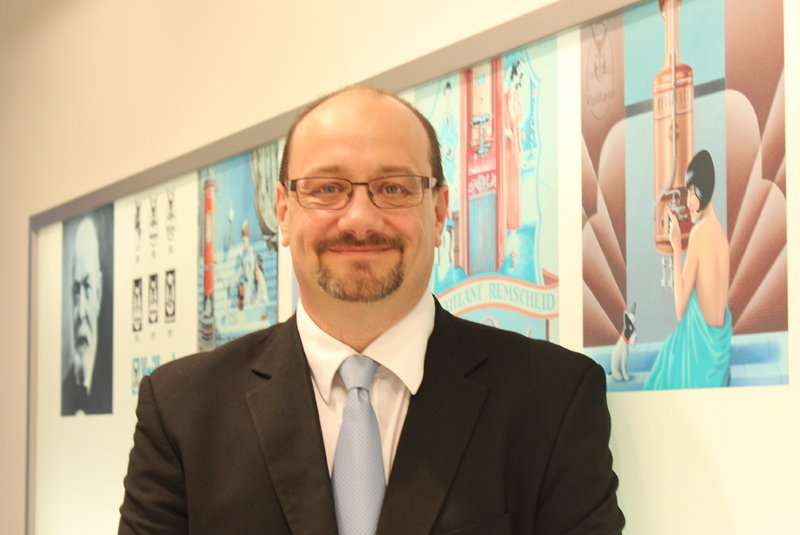 Mark Wilkins, Head Of Training And External Affairs at Vaillant, looks at what the review should consider if it is to build on the initial successes of Boiler Plus. Whilst some installers were already well in advance of the requirements of Boiler Plus, it has been a step change for others. There was also resistance from some to complying with the requirements of Boiler Plus and BEIS had to ultimately issue a definitive statement to bring them in line. Similarly, the precise definition of ‘smart thermostat’ initially caused discussion, and was eventually clarified by documents such as the HHIC’s ‘Boiler Plus additional guidance’. However, the legislation has now widely been embraced by both installers and manufacturers, resulting in an increased emphasis on energy efficiency across the board – which can only be a positive thing. That being said, there is much further to go, and here at Vaillant, there are several points which we hope will come through in the anticipated Boiler Plus anniversary review. As it stands, Boiler Plus only applies to combi boiler installations. Obviously, this is a logical place to start, but the reality is that this misses around 25% of the market. Whilst it’s good to see a greater emphasis on the efficiency of combis, we would like to see the review examine how Boiler Plus could be applied to system and open vent boilers, along with heat pumps and other heating technologies – essentially evolving Boiler Plus to become ‘Heating Plus’. All of our products, combis and beyond, have the ability to meet the enhanced control requirements set out by Boiler Plus. Our smart controls provide intelligence to the system by looking at indoor and outdoor temperatures, optimising the performance of both heating and hot water. The controls also provide operating notifications as well as information on how much energy the homeowner is using. Ultimately, Boiler Plus should not just be about the efficiency of combi boilers, the additional controls requirements should extend to all heating systems irrespective of the heat generator. The HHIC has also publicly urged that the Government take the opportunity of the first anniversary review to extend Boiler Plus. Improvements suggested by the HHIC include broadening the legislation to apply to annual boiler servicing work, and, echoing Vaillant’s sentiments, to include other heat generators too. Given that system water quality directly impacts efficiency, the next logical step for Boiler Plus is to acknowledge it as a factor and add measures to address it. Without clean water, even the most efficient boiler will not be able to deliver its optimal output. We therefore hope that managing water quality and system debris are taken into account in any revisions to the legislation. BEIS should review how Boiler Plus could apply to protecting a heating system and ensuring installation best practice, such as hydraulic balancing. This is something Vaillant whole-heartedly supports, after all, the UK would not be the first nation to mandate hydraulic balancing, with Germany making it a legal requirement several years ago. Whether the balancing itself becomes a requirement, or greater emphasis is placed on awareness, this is certainly worth consideration when it comes to reviewing improvements to Boiler Plus. Boiler Plus was a good start – but there is much further to go. By continuing to build on the success of the original requirements, the Government can drive further efficiencies and offer even greater benefit to the homeowner. We look forward to the results of the review, and continue to support such advancements in our industry.